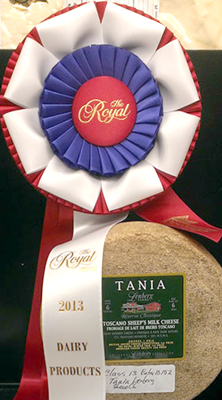 Mississauga, ON - Ontario's own Mariposa Dairy racked up several key awards at the 91st annual Royal Agricultural Winter Fair, with their Tania Toscano Sheep's Milk Cheese by Lenberg Farms Classic Reserve taking home Grand Champion honors in the Goat & Sheep's Milk Category. Known simply as "The Royal," the annual fair features the best of Canadian agriculture, including hundreds of cheeses to be judged in the highly touted competition. Mariposa Dairy was also awarded First Place in the Firm Cheese category for their Lindsay Bandaged Goat Cheddar, under their Lenberg Farms Classic Reserve brand. 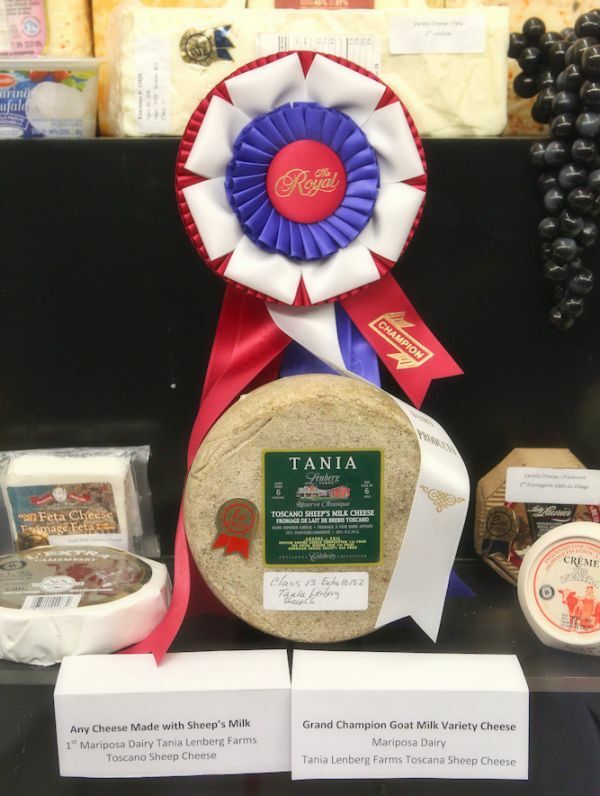 Second Place in this category was given to Mariposa's Kawartha Lakes Premium Age Goat Cheese, while Tania was the clear winner in the Sheep's Milk category, gaining 99.1 points out of a possible 100 in this category. The renowned Celebrity Goat Cheeses also fared well at The Royal, with their Original Goat Cheese topping the Unflavoured Fresh Cheese category, edging out respected competitors, and Celebrity Mediterranean Goat Cheese winning First Place in the Interior Ripened category. In all, Mariposa Dairy walked away with nine awards, marking an outstanding year for the producer with three major awards, including First Place finishes at the American Cheese Society conference in August. Over the past three years, Mariposa has been recognized for their sheep's milk cheeses with nearly 10 awards in major cheese competitions. For more information about Finica Food Specialties and their producers, visit www.finica.com.